Are hardwood floors expensive & is it cost effective compared to other floor coverings? Engineered floor versus a solid hardwood product? What Is there an advantage engineered products over solid products? What about installing wood in high traffic areas like kitchens? Is there a difference between square-edge and eased-edge designs? Which types of hardwood floors are best for in-floor radiant heating systems and are some wood species better for radiant systems than other? Are hardwood floors hard to maintain and can I damp mop them? Healthy: The Environmental Protection Agency has said that indoor air quality is one of our top health threats. 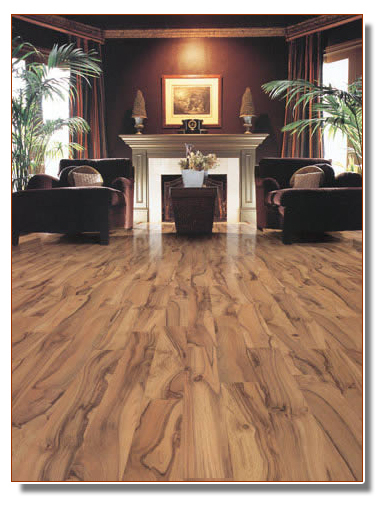 Installed in the home or elsewhere, wood floors help contribute to a healthy living environment. Hard surface flooring such as hardwood floors does not rap or harbor dust mites or molds. That creates better air quality for all inhabitants, but especially for the estimated 35 million Americans who suffer from allergies. The hard surface of wood floors also helps avoid artificial substances such as pesticides that can accumulate on some floor coverings. A recent EPA study found that pesticides used in gardens and homes accumulate on floors and other surfaces in the home, but that wood floors greatly reduce the accumulation of such toxins. Another concern for the home environment is the off-gassing of toxins that results from some synthetic materials. Any of these chemicals can make people in the home chronically ill. Engineered products, available in Planks, Strips are manufactured of hardwood using a cross-directional laminated construction (3 to 5 layers), with a top layer of premium hardwood. This construction counteracts the natural tendency of wood to expand and contract with seasonal changes in temperature and humidity, making engineered products inherently dimensionally stable. Solid products, available in Planks, Strips or Parquet, are manufactured from a solid piece of wood. Should I use a prefinished versus unfinished? 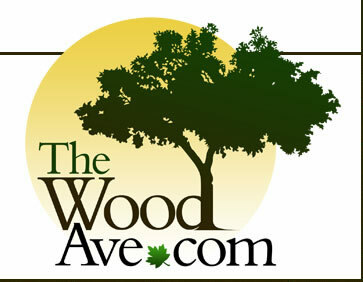 Most hardwood flooring sold today is prefinished. Factory finished with several coats of UV-cured polyurethane are applied. These factory finishes are tough and durable. Installing a prefinished floor eliminates the time, the dust and the odors associated with the on-site sanding and finishing of an unfinished product. A prefinished floor can be installed in a day. An unfinished flooring installation may require twice as much time for the same area. The urethane finishes on most new wood floors stand up to water and traffic, bringing wood flooring into bathrooms, kitchens, and other higher-stress areas. These finishes resist wear and stains better than other finishes and require no stripping, no buffing and no waxing. High traffic areas include exterior doorways, hallways, mud rooms, and the areas in front of the sink, stove and refrigerator. To protect the floor just inside exterior doorways, use walk-off mats or small rugs to catch tracked-in dirt and grime. Place small rugs or mats at other high traffic locations. Watch for grit or pebbles that might be brought in on waffle soles of athletic shoes and collect these with a hand-held cordless vac. This should be done a regular basis. Yes. With a square edge, the sides of each plank or strip are square. An eased edge, more commonly known as a beveled or micro-beveled edge, features a slight angle on the top edge of the plank or strip. An eased edge can help mask slight subfloor imperfections, and can be felt if walking on the floor in bare feet. The method used for your hardwood installation will depend upon the type of product you have chosen, where the flooring will be installed and the type of subfloor. Nail down, glue down & floating are the three type of installation. For instance, if you are remodeling your kitchen, some products can be “floated” over most subfloors, including vinyl or ceramic tile, eliminating the mess and cost of tearing up the existing floor and installing a subfloor. Engineered products, which are dimensionally stable, are ideal for basements and can be nailed, glued or stapled down. Your flooring retailer or contractor can help you to determine the best method for your situation. See Installation methods & details. Engineered hardwood floors--in planks, strips are the best floors to use with radiant heating systems. These floors are manufactured of hardwood using a three-ply or five-ply laminated construction, making them inherently dimensionally stable. This means they are less susceptible to changes in temperature and humidity. Of the engineered flooring options, with a floating installation as the best choice, because it can be "floated" over the subfloor, without the use of nails or adhesives for a permanent installation. It is important to note that when installing any hardwood floor over a radiant heating system, the maximum temperature of the subfloor should never exceed 80º (F). For the correct water temperature inside the heating pipes, refer to your manufacturer's guidelines. Oak is an ideal species for in-floor radiant systems. We also recommend ash and merbau. We do not recommend that you use maple or pecan for an in-floor radiant heat system. If you have a question about your species choice see Radiant Heat & Wood Floors. Are hardwood floors hard to maintain & Can I damp-mop my floor? No. A hardwood floor finished at the factory features three to seven layers of a UV-cured polyurethane. This finish gives the floor a tough, durable and smooth no-wax surface that is both luxurious and easy-care. See Maintenance and Do's & Don'ts for your wood floor. DO NOT damp mop - Water and wood do not mix. Therefore, we suggest that you use the maintenance products and procedures recommended by the manufacturer of your floor. Maintenance kits can be purchased from your retailer or contractor. Yes. In a recent survey commissioned by the NWFA, more than three-quarters of interior designers find that wood flooring works well with many decorating styles. "It's the most versatile floor covering there is," says one designer. "Wood goes with contemporary and traditional and everything in between." Designers rated natural materials as superior to man-made materials in beauty, prestige, style, maintenance, and durability. A variety of woods and finishes are available to complement the decor and style of any room. Oak and maple are the most popular woods, but some homeowners are investing in exotics such as Brazilian cherry and Purpleheart.